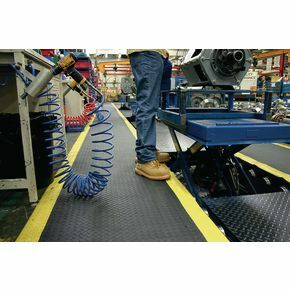 Tough, slip resistant diamond embossed PVC surface, with a thick air-cushioned foam base. 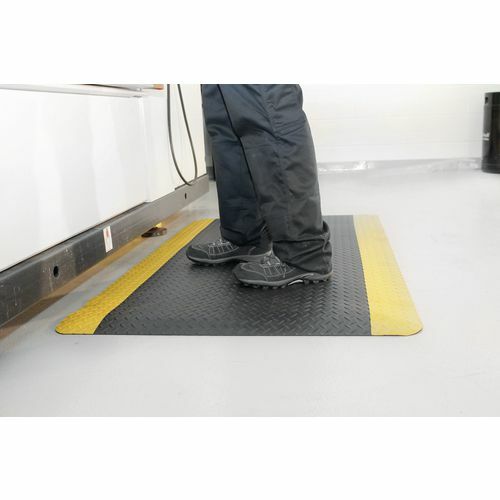 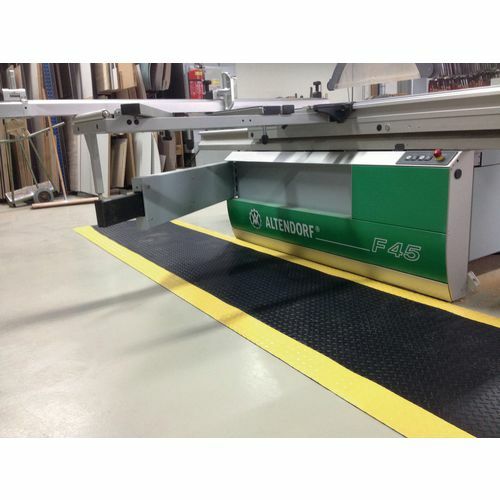 Rounded corners and ramped safety edges ensure the mat fits flush to the floor. 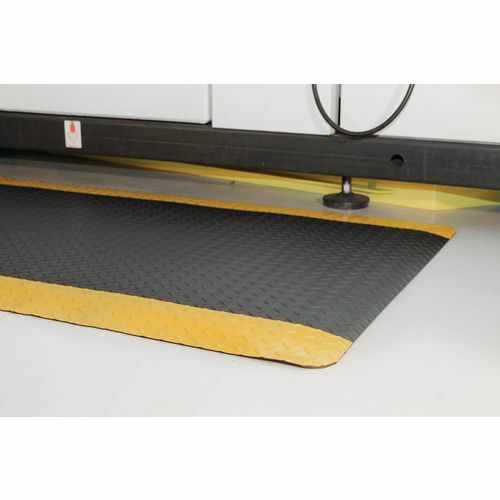 Suitable for mainly dry areas. 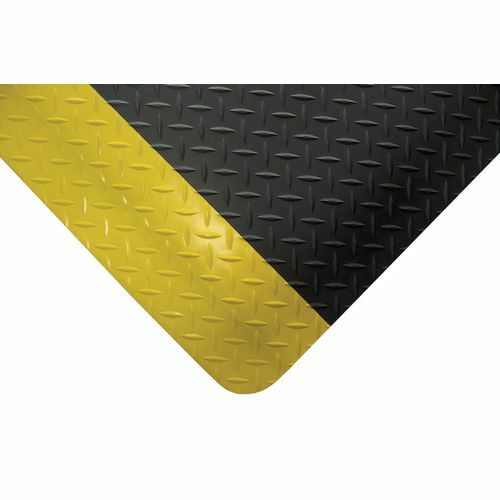 In plain black or with yellow safety edging.